LittleTaniwha: Paintings For Sale Now! Kia Ora, Talofa Lava, Kia Orana and WELCOME! Scroll down to check out my paintings that are for sale! ~ motivated by experiences of my blended, multi-culturally layered family. 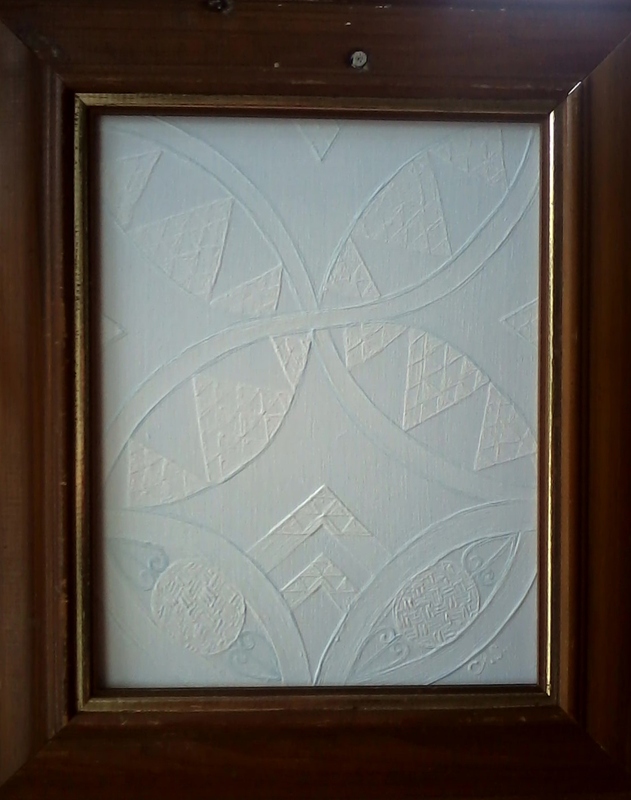 Acrylic on hardboard in a recycled photo frame. White on white with a touch of aqua, using Maori and Samoan symbolism. 305mm x 360mm (framed), 200mm x 255mm (unframed). (Guardian Figure / four-petalled flower motif from Siapo designs). ~ motivated by experiences of my blended, multi-culturally layered family and inspired by parenting cross-culturally with my partner. Acrylic paint on recycled plywood. 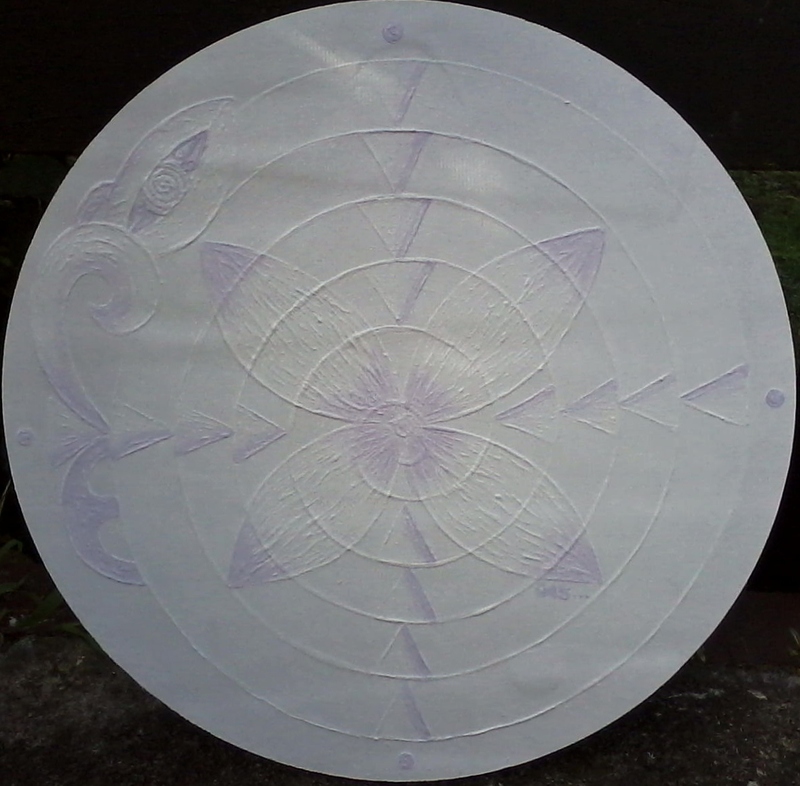 White on white with a touch of lavender, using Maori and Samoan symbolism. Acrylic paint on box-frame canvas. White on white and black on black, using Maori and Samoan symbolism. ~ motivated by experiences of my blended, multi-culturally layered family and exploring the commonalities between cultures. Acrylic paint on box-frame canvas. 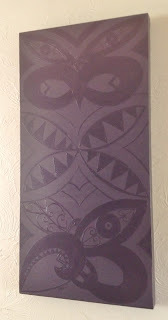 Black on black, using Maori and Samoan symbolism.